Beyonce x TopShop…..How Sway? | iamstylingonyou. I knew there was a reason that Beyonce was wearing all that TopShop, she wasn’t doing it just for fun. So today all over my timeline on IG the announcement of her collaboration with them dropped. I understood it up until the point when I found out it was going to be an Athletic/streetwear situation. And now…..I don’t get that at all.Like how Sway? Yeah Beyonce can kill a stage in heels for 2+ hours without missing a beat, However, that’s not her bag. I don’t see how this conclusion was made. Now before the Beyhive tries to assassinate me I am a Bey Fan fasho fasho. But let’s think about this reallllllly hard. 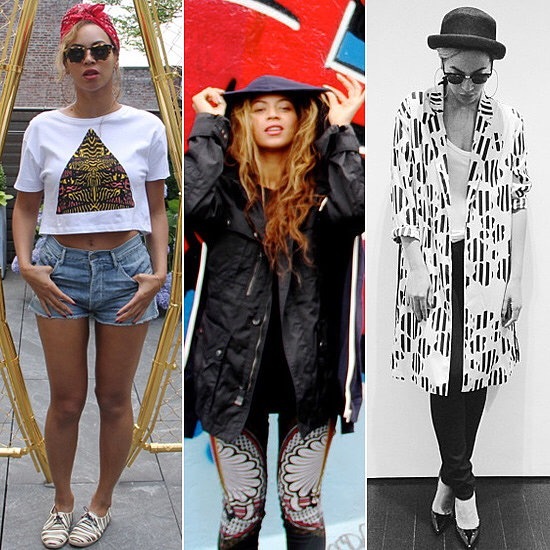 What says “streetwear” about Beyonce? Not Much. So I am definitely interested in seeing what this collection will look like. I would also like to see what you think about it ,maybe you have the answer for me. Comment below. Fill out the poll too.